My names Hannah Robinson, I'm 17 years old going into grade 12. I'm from Gitlaxta'amiks BC. I'm a part of the Ganada/Frog tribe in the house of Axdii Wil Luu Gooda. I have two brothers and two sisters. I am the second oldest of all of my siblings. 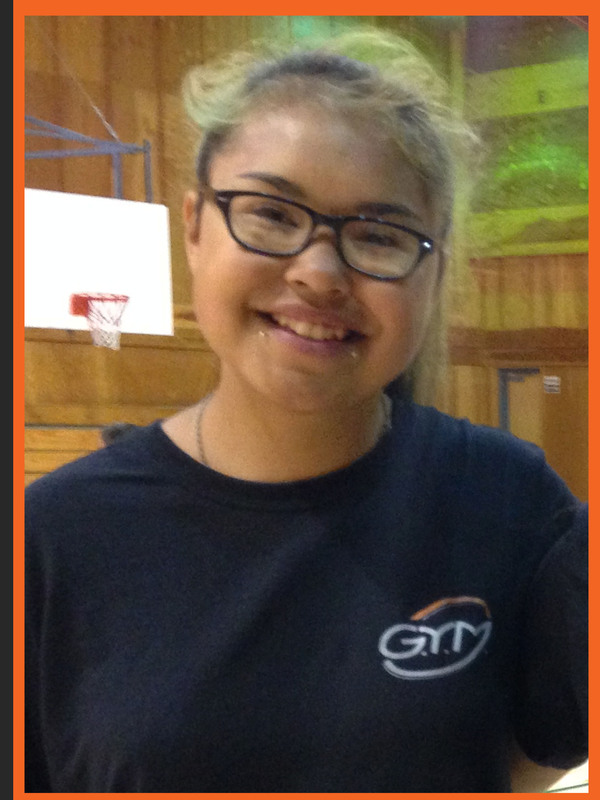 G.Y.M: This camp helped me expand a bit more than the canoe journey I completed this summer. The canoe journey taught me to work with people my age, and this camp helped me expand and work with kids who are quite a bit younger than me. I loved this camp because it was so much fun, and there really was never a dull moment. We were taught team building exercises and how to be patient and help with the really young kids. I had so much fun learning new games and how to run them. Interests: I really enjoy playing basketball, and running games. I'm not the best at them but I really do have so much fun. I also really love paddling. The feeling of being out on the water calms me. Travelling is also something I enjoy doing. I hope that one day I'll leave BC and experience the rest of this beautiful world. What wellness means to me: The things that make me live well are my friends and my family, and my culture. I really enjoy the down time I get with my family, and my friends. My ultimate favourite is singing and dancing with my community's dance group. That's the main time when I really let go and just be myself. Living well for me, is when I'm with my friends, family, or if I'm out on the dance floor with my dance group. My future: In the future I can really see myself doing photography, or becoming a youth worker. My main thing before G.Y.M was photography. After this whole experience, I believe that if I really try hard I can become a youth worker, and I could work with these kids everyday. Wise words: never give up, no matter how hard it gets. You always gotta fall before you fly. So if you fall, don't be upset just get up, and try again.